Home Best Solutions is a family owned business with over 20 years of collective experience in construction, architectural, renovation and project management. We specialize in remodeling and creating custom solutions for our customer's homes and office area. We truly understand that your house is more than a home, so our team is dedicated to our customer's needs and exceeding their expectations. Our exceptional level for customer service, attention to detail and workmanship sets us apart from the competition. Home Best Solutions values professionalism, client-focused interactions, and efficiency. We look forward to working with you! Renovation Specialist based in the Stouffvile / Markham Ontario area. We specialize in Kitchens, Bathroom, Basements and Additions. Serving customers within a 30 km. radius of Markham. and are a long term member of BILD, RenoMark, OHBA, CHBA. We carry $5M of liability insurance and are employees are covered under WSIB. 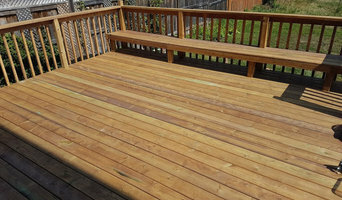 All workmanship is covered by a two year written warranty and use LICENSED trades. Luxor Development Group offers the best building experience when it comes to providing home additions in Toronto. If your house is too small but you enjoy living in your current area, there’s no need to move into a new home. Add the extra bedroom you desire, or create an extended space for your kitchen and living room. Whichever space requirements you have, consider the following home addition options; Rear house addition/back house addition Front house addition/ Refacing front with addition Side addition/ Extended sides Second floor addition/ second story addition Addition above garage/ Room addition Split-level addition/ Extended Floor Prior to beginning the design of your house addition, careful planning is necessary. The addition must align and integrate well with the house as well as structurally according to city guidelines. It is important to note that permits must be acquired in order for us to start working with major structural developments. 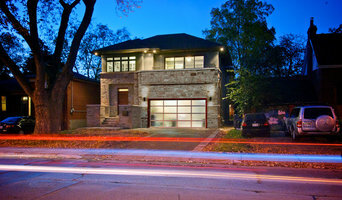 Thus, Luxor Developments works closely with clients and the city, helping to proceed further into the addition project. Our goal is to have your house addition meet your requirements as well as safety guidelines. We are an innovative, forward-thinking construction management firm that specializes in luxury / modern custom homes and premium home improvements. We provide our clients with an open book policy of transparency, integrity and professionalism. Our clients are always up to date with all the latest information using our intuitive software and app. With Nick Yuricek and Stephen Yuricek you can be sure that your home is in experienced hands. N.V. Group Inc in Mississauga uses over 20 years of experience to take you through the concept, the design and building stages of your home design project. By understanding that renovating and designing your home is about much more than the actual work, we aim to establish a relationship, develop trust, and clearly communicate everything with you allowing us to effectively design and create the living space of your dreams. Though high quality renovations and custom designs are our goal, we want to be defined by the relationships we create. This allows us to provide you with great value with the end-result you wanted while accomplishing it in a stress free environment. After all, this should be a enjoyable experience for you - designing you and your families dream. Reno Con does all types of renovations from rough to finish, from the basement to the dormer. We are a general contracting company which has been in business for 29 years. We work with a network of established and reliable building, mechanical and electrical trades who are passionate about what they do. Remodelling a kitchen, excavating or adding that second floor, we will help you create your dream addition.